im trying to figure out a way to find all EPMDocument without a created Visualisation. Which Database Fields hold the information about wheather a visualisation is created or not? If you are using report manager, you can link epmdocument and wtderivedimage using "Derived From The Derived Image" link and reference epmdocument to epmdocument master to get the name and number. If you are looking at SQLs you can use the below to get all representations. Can you tell me what table(s) I need to link this to in order to see any related additional files and their names? I'm interested in determining not just if an object was published, but whether or not the proper additional files were published as well. Thanks! We came up with this query. to find all released *.drw files without visualisation. Hi, could you do this by generating the log file under Site, Utilities, WVS Job Scheduler Administration? Scott Morris‌, the scheduler can't check for state (Released), and least not without building a custom schedule (which requires Java coding). Sorry for the delayed response. Is this what you are looking for? Thanks Binesh Kumar! I've actually spent the last several days working on this. It took quite a while to locate the "Holder To Content" table. I wish I would have seen that sooner. Oh well. Here's what I've come up with so far. In order to find documents that are missing either their representations or were published without additional files, I had to do multiple LEFT JOINs. To further complicate this we have a parameter that may exist in the CAD objects that is used to control publishing additional files (EXPORT_DATA yes/no). I've also attached the SQL query itself (the formatting looks much better). Sample QML - Find-EMPDocuments_without_visualization - QML similar Stefan's SQL that searches based on File Name. Also Attached QML - EPMDocument-Find-Missing-Representations. This one is intended to Compliment https://support.ptc.com/appserver/cs/view/case_solution.jsp?n=CS211115 for having a CSV that can be sent to the publisher for generation of lightweight images. It can find missing representations based on Context, File Name and Date or any Combination of the three. 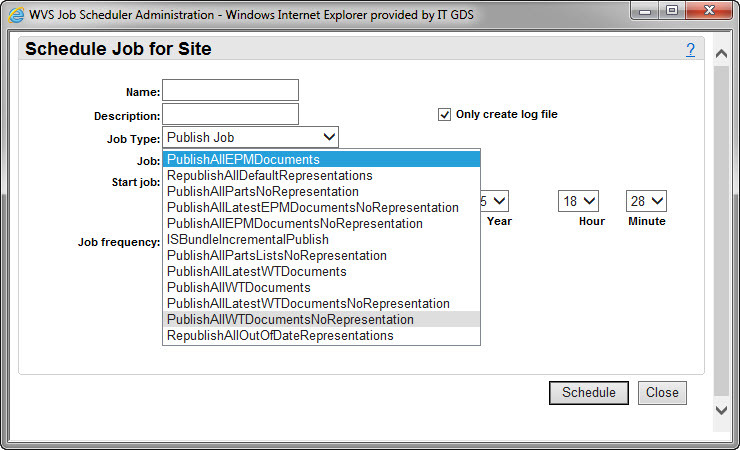 The three columns needed for the input into the publisher are also included in the output. The column for finding out of date representations is also included...but would need some additional customization. It can also be used to find all the CAD documents checked in for the month that failed in the publisher.